When it comes to facials, it’s clear that this beautifying and restorative treatment is no longer the sole preserve of the ladies. Ideal for men cagey about dim rooms, bodily exposure and the dulcet tones of Enya, facials are arguably the gateway drug when it comes to spa treatments. A well-chosen one can effectively combat the ill effects of urban living and is uniquely well suited to helping the overworked exec decompress. Suffice to say, when it comes to picking the right facial treatment, Hong Kong is inundated with choice. 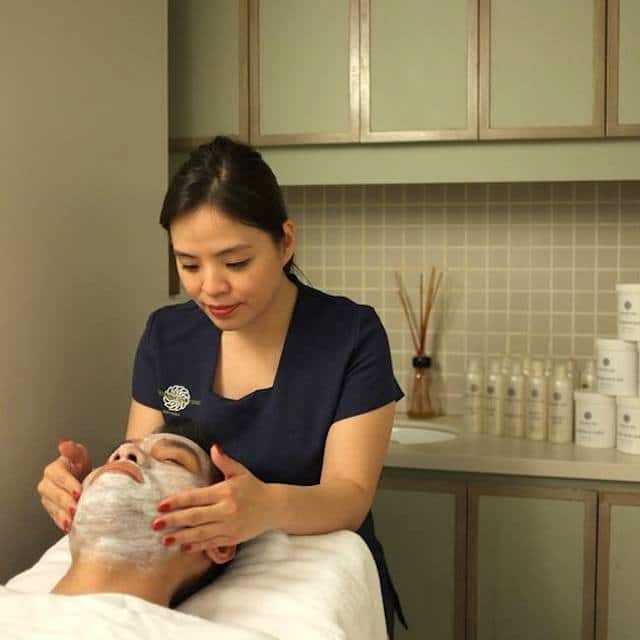 Whether you’re looking to detoxify your skin or mitigate the onslaught of fall weather, here are 5 of the best men’s facials in Hong Kong bound to address all but the most stubborn dermatological concerns. 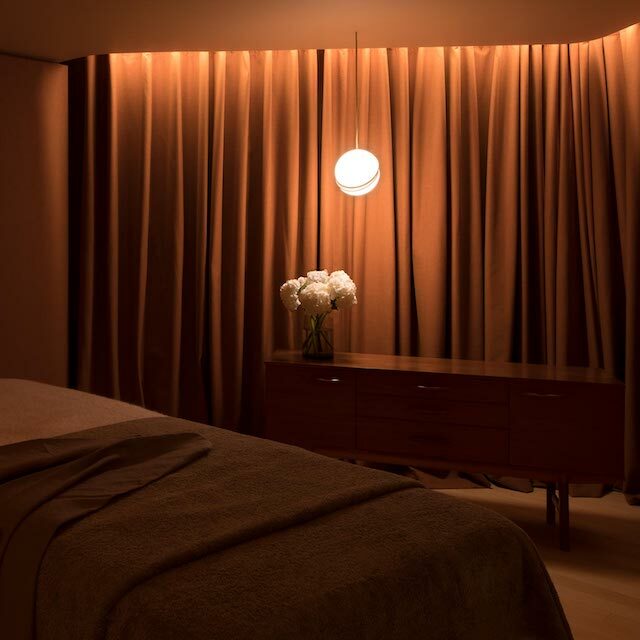 As the name of this treatment — developed by The Landmark Mandarin Oriental’s in-house spa team — suggests, the Profound Deep Cleansing Facial (HK$1,750-$1,950) is a purifying and brightening process that utilises high frequency currents to assist in the clearing and reduction of blemishes. Ideally suited for those with problem skin (i.e. prone to break outs), this facial commences with a manual cleanse designed to remove surface grime. Thereafter, blackheads are manually extracted and a topical zinc skin booster is applied. The booster helps to prime the face for absorption of iontophoresis currents emitted from an AA machine — said to be antibacterial and effective in preventing further blemishes. To finish, a warm cleansing masque is massaged on, helping to release tension and promote healthy circulation. In spite of its diminutive and warren-like setting (on Wellington Street), Mayfair transplant Gentlemen’s Tonic continues to impress with its range of male-targeted treatments. The Hydration Facial (HK$900) is amongst the best of these: a timely choice in light of Hong Kong’s notably cooler October temperatures. Effective at combating dry skin and preventing premature ageing, this treatment entails a series of applications of masks made from a blend of active ingredients and soothing botanicals. Leaving the skin supple and noticeably brightened, the Hydration Facial is best utilised at regular intervals (i.e. every 5-6 weeks). 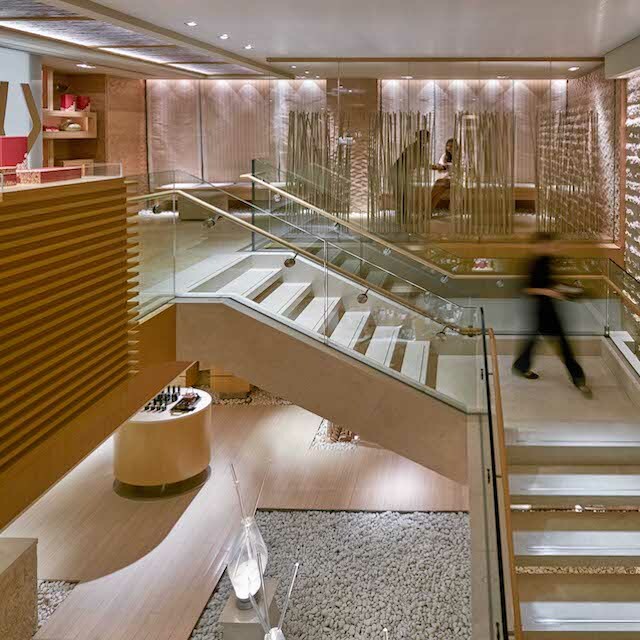 Mongkok might seem like an odd locale for one of Hong Kong’s best facials but that’s exactly what Chuan Spa — the Cordis Hotel’s widely renowned wellness facility — has long provided. 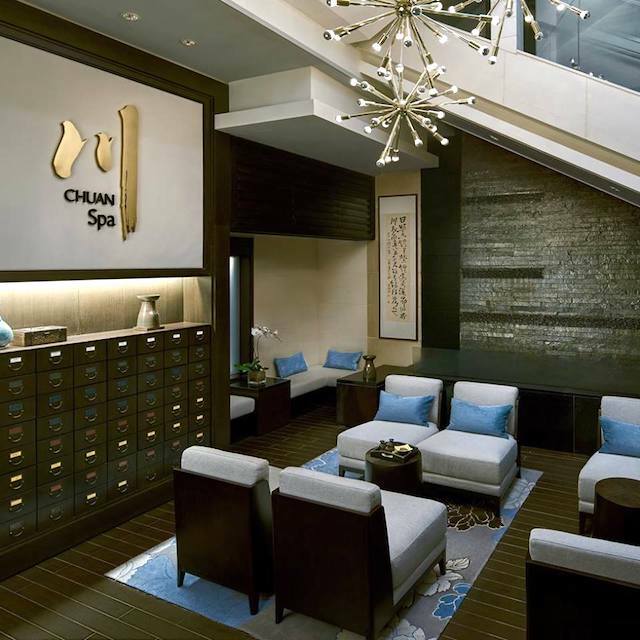 Guided by principles of Wu Xing (elemental Chinese medicine), the team at Chuan Spa have developed a number of treatments aimed at addressing the specific needs of their male clientele. The trippingly titled Man Maintenance package consists of equal parts relaxation and restoration — involving the application of a blue-green algae mask that restores vitality to the skin and repairs the damage inflicted by over-the-counter pharmaceuticals. If you’re liable to nick yourself shaving or are plagued by the scourge of ingrown hairs, this treatment comes highly recommended. 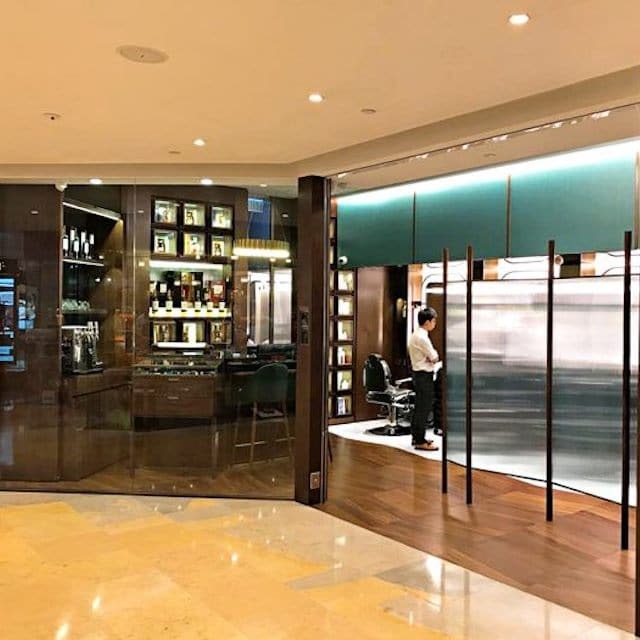 We’ve previously covered the barbering services at Saloon Roarguns in intricate detail, but this unisex salon — conveniently located in the heart of Admiralty, on level 3 of Pacific Place — is also worthy of mention for its curated selection of facials. In particular, the mineral variant — by Kim Robinson Studio alumni Ryan Leung — was purpose built to complement the salon’s grooming services. The result is a treatment focused on assuaging the physical ills associated with razor burn, including unevenness of complexion, ingrown hairs and heightened irritation. Aesop’s parsley seed formulations have long been an integral part of the brand’s skincare offering. Known for their deep-cleansing and antioxidant-rich properties, these rigorously trialled products are now joined by an intensive facial treatment — available at select Aesop locations around the globe. Available in 60 and 75-minute durations (HK$920-$1,090), the Parsley Seed Intensive is the ultimate antidote for skin frequently exposed to pollutants and sudden shifts in temperature. For men new to the whole skincare scene, it also proves to be a highly instructive learning experience — mimicking the 3-part structure of a robust weekly regimen that should include deep cleansing, exfoliation and moisturising.